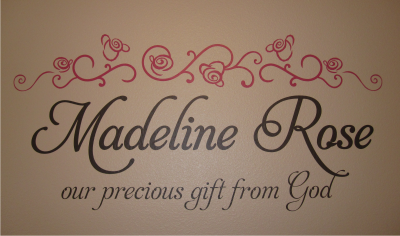 Melanie commissioned this custom design for her new little girl. 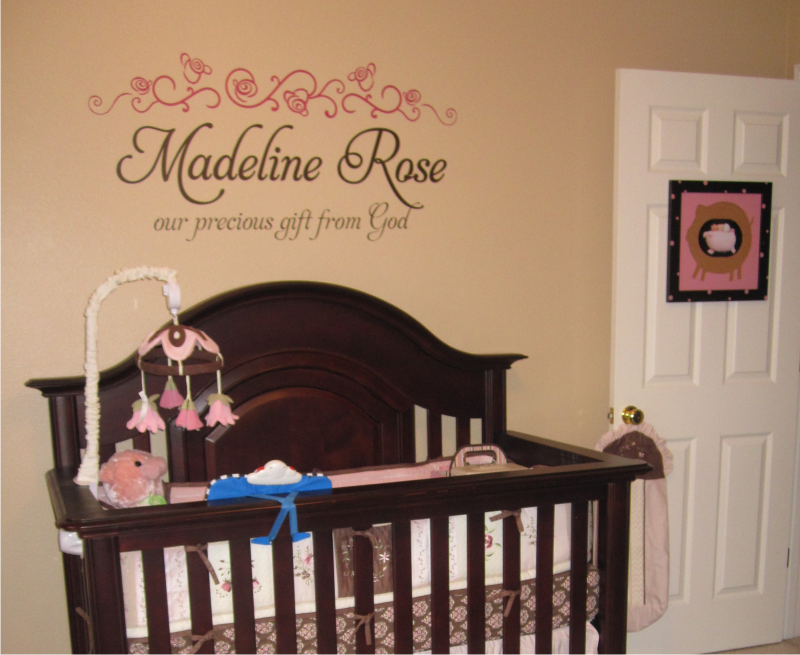 She had an idea of flowing rose vines and sweet scripty text. After a few back and forths tweaking the design to be sure it was just right - this was the end result. Thanks so much for sharing the photos with us, Melanie! The $50.00 gift certificate is yours and we can't wait to see what you'll think of next. Do you have an idea you'd like to see come to fruition and eventually grace the walls of your home? Well then by all means - send us a note. Describe as best you can what you have in mind and we'll do our best to create a design that's all you and exactly what envisioned. Oh - and send in photos of your newest wall quote addition - you could be the lucky winner and have 50 Belvedere Bucks to spice up your home. It's beautiful! I like the roses in the swirls above. How fitting!